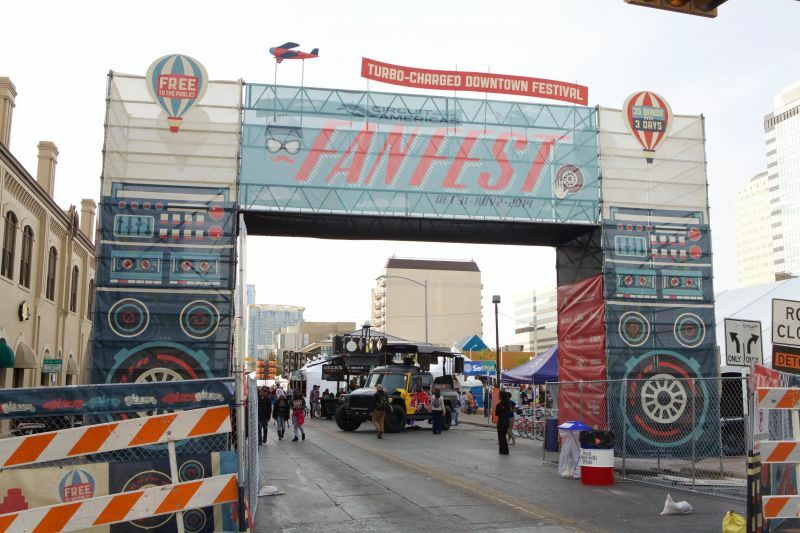 Headed to Austin for the world-famous FORMULA 1 UNITED STATES GRAND PRIX at Circuit of The Americas? 1. 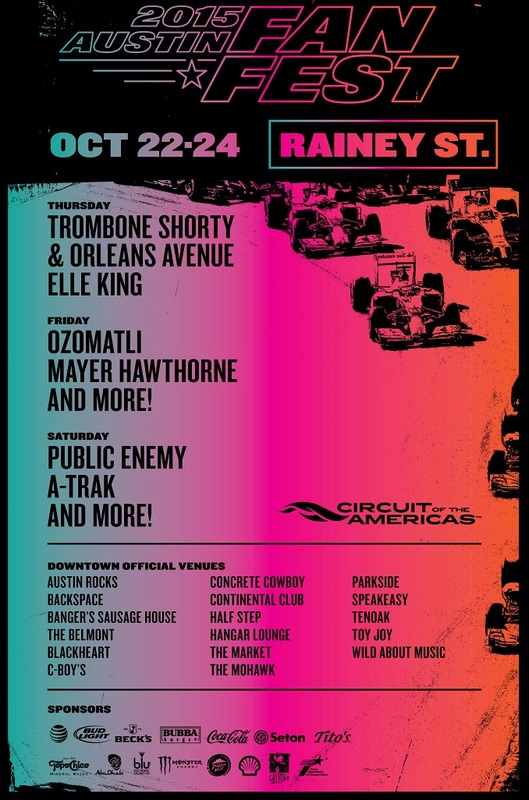 Rainey Street Fan Fest This turbo-charged party takes over Rainey Street and 15+ venues across Austin from Thursday, October 22 through Saturday, October 24. 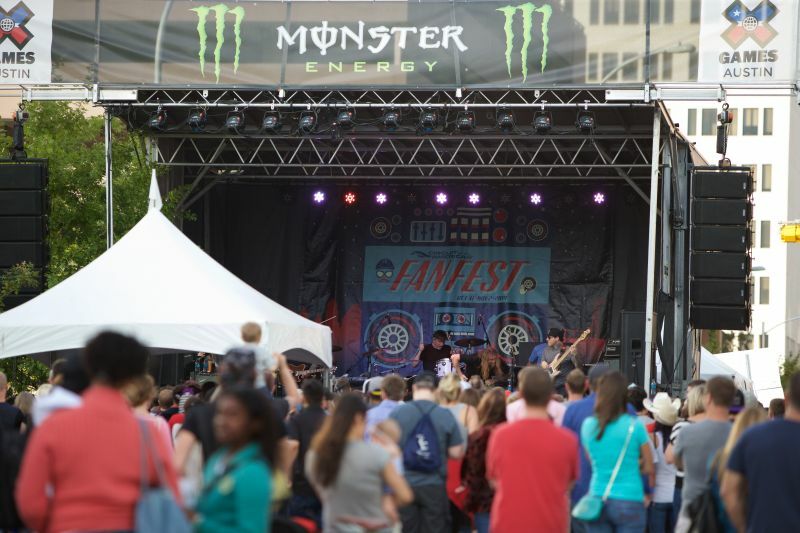 Fan Fest is a FREE celebration of motorsports and music featuring performances from Public Enemy, A-Trak, Mayer Hawthorne, Elle King, Trombone Shorty & Orleans Avenue, Ozomatli and more! 2. 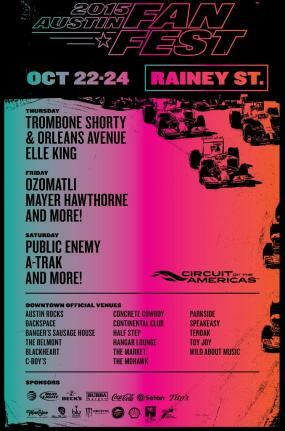 POP AUSTIN International Art Show Circuit of The Americas and POP AUSTIN are collaborating for an even a more grand race weekend. Regarded as one of the most exciting contemporary art events in central Texas, POP AUSTIN International Art Show is expanding its footprint this year to an exhibit at Circuit of The Americas. The showcase at COTA is available for the enjoyment of all race goers and features an impressive collection of fine art, including pieces from Andy Warhol, Jean-Michel Basquiat, Richard Orlinski, Desire Obtain Cherish, Shane Guffogg, Micky Hoogendijk and others. 3. Live Music Snoop Dogg and Lionel Richie at Austin City Limits Live Snoop Dogg and Lionel Richie will both perform concerts during the big race weekend (Friday October 23 and Saturday October 24) at ACL Live. This is their third annual race weekend exclusive event featuring legendary talent, special bars and bites and a truly unique musical experience. Elton John & His Band: The man, the myth, the legend will rock COTA for a full two hours starting at 6 p.m. post-race on Sunday. Either enjoy the show from the new festival lawn located in the Circuit&apos;s north infield with any ticket type or purchase your Turn 9 Bleachers tickets and watch the race and the concert from your seats. 4. Wild Bubba&apos;s You&apos;re sure to work up an appetite checking out the action around COTA all weekend. Stop by Wild Bubba&apos;s to get your exotic burger fix including: elk, antelope, axis venison, buffalo, boar, yak, kangaroo, bear and more! How are you celebrating Formula 1? Keep up and let us know @SportsAustin! Contributed by Matt Motl, Austin Sports Commission.